Yards give our kids a safe place to play and space for adults to enjoy parties and barbecue. A healthy, lush green yard is a source of pride for many homeowners. Keeping those lawns green is a challenge during hot summer months. Irrigation systems are a long established solution, but they often don't a user-friendly control system. They also have shortcomings of mechanical timers, and their inability to accurately detect when it's raining to shut off the sprinkler system. With that in mind, let's explore some solutions to turn any system into a smart irrigation system. Smart sprinkler controls are designed to integrate an irrigation system with a home automation system. By connecting to a smart home system the vast array of capabilities and information become available. This makes managing the sprinklers easier and allows for more advanced programming capabilities. Like their less intelligent brethren, smart sprinkler systems can be programmed to set schedules and zone patterns. But their real value comes in the ability to pull in local weather information, moisture sensor readings, and current weather conditions. 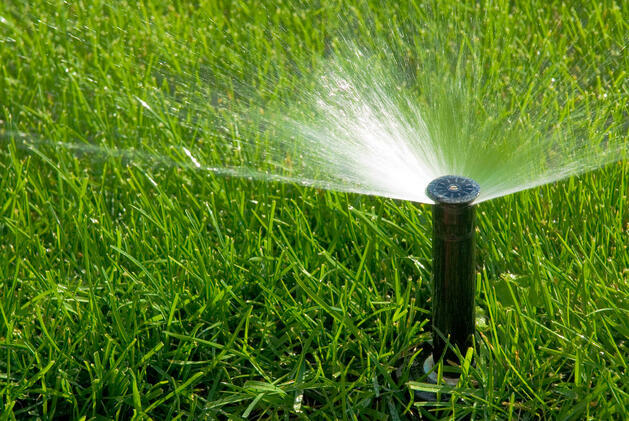 By adding in these variables, smart irrigation systems are more accurately able to determine if it is necessary to turn on the sprinklers, which areas need more or less water, to shut off when it begins raining, as well as when not to run if the temperature is too low. These smart irrigation controls will keep your lawn healthier and save you money by reducing unnecessary watering. That's why they are the 7th way we're introducing to you to make a home smart. 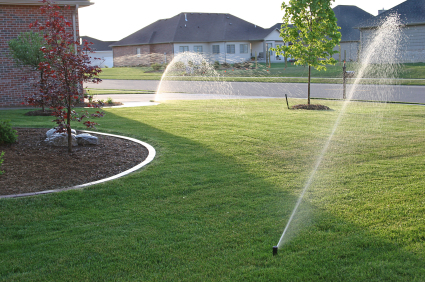 Irrigation systems utilize a network of underground pipes to connect individual sprinklers together and divide a yard into zones. 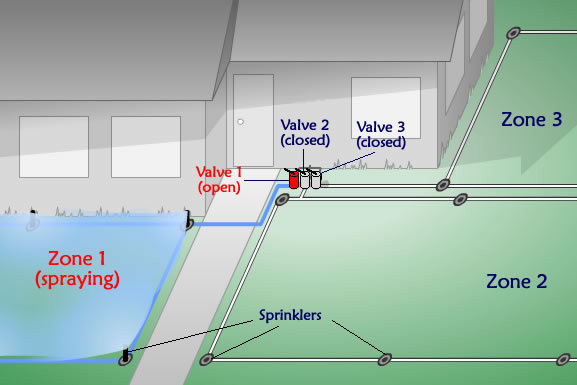 The flow of water to each zone of sprinklers is controlled by a low-voltage, electronic water valve. When an area of the yard is due to be watered, the irrigation controller sends a signal to the valve for that zone to open. After a predetermined period of time, or a moisture sensor detecting sufficient water levels, a signal is sent again to the valve triggering it to close. The process continues on until each of the zones in a yard has been watered. With smart sprinkler systems, the central controllers or hubs of the home automation system acts as the controller. Quality controllers contain atomic clocks. This means no need to reset a timer every time the power goes out. In the article from day 1 we also discussed how a universal hub can access information from external sources such as WeatherBug. The advantage here is that instead of relying on expensive rain detectors that occasionally need to be replaced, the system checks local weather conditions. If the neighborhood weather station is reporting rain or temperatures which are too cold, the system can be programmed to not water on that day. The hub can also tie in with other sensors connected to the system such as ground moisture sensors. Advanced programming capabilities within the automation controller allow all the above information to be accounted for and use to determine when and if your sprinklers run each day. One last benefit that smart irrigation systems provide is easy access to manual controls. From either a smartphone or programmed buttons on a keypad in the home, owners have easy access to watering a little more or a little less in each zone. This can come in handy when you don't want to soak guests in the middle of a party. How many times have you been out driving somewhere and rolled past a house or business where the sprinklers are running during a rain storm? 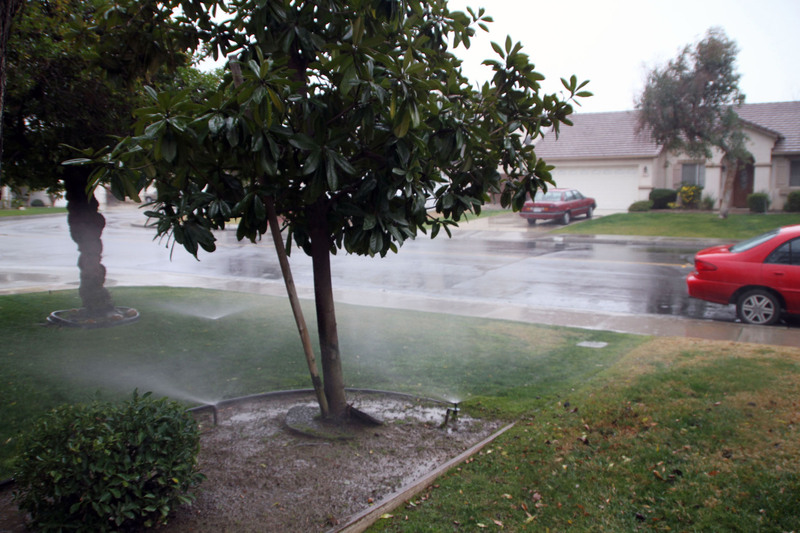 Water is expensive and running sprinklers in the middle of a rain storm is wasteful. It causes over-watering that leads to soil erosion, pooling of water in low lying areas, and water runoff. None of which are beneficial to the health of your grass and plants. In some cases rain sensors were connected to the system, but were either broken or conditions such as wind and objects blocking water flow prevented them from attaining proper readings. No system is perfect. However, the additional sources of information to which smart sprinkler controls have access allows them greater accuracy and flexibility. Check out our pages dedicated to adding controls to your home and smart home automation, or contact us to learn more.